It’s halfway through my stay in Europe now and more than 65% through my actual classes. I took a week’s hiatus from blogging because the last four days of my Environmental Ethics class took a lot out of me. 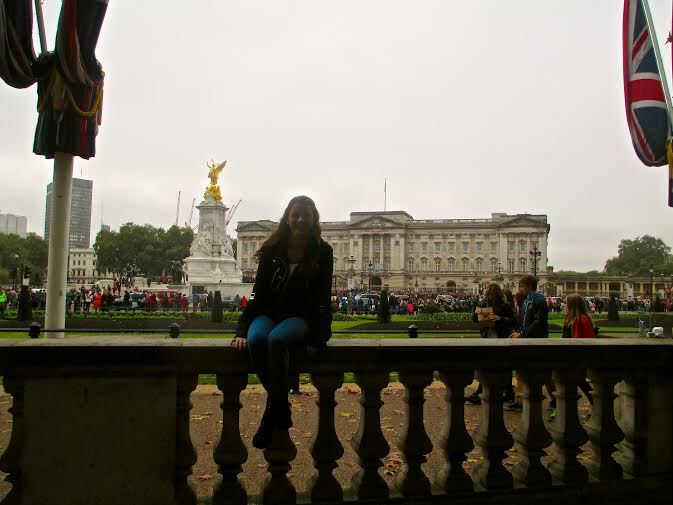 After all the sleep I caught up on this weekend though, I’m ready to tell you about the amazing trip I had to London! Waking up early in the morning is the worst idea ever… unless it’s to travel. That’s how my Friday started out, so I could catch my 10am flight out of Basel on time. The one hour flight I was in and out of sleep, hoping that the extra few z’s would fuel me through a full day of living in London. It worked! After landing, I had to sort out some confusion about getting into the city from the airport. I had preordered a bus along with my RyanAir ticket, but forgot to print the boarding code. Let me just say that after two and a half months surrounded by German, it was beautiful to communicate with native English speakers. I sorted through the problem in a few minutes and was on my one hour bus ride into the city! The bus stopped at several places and on a whim, I got off around the corner from Regent’s Park. First wonderful decision of the day, which was quickly followed by another – Baskin Robbins for lunch. Shush. I do not want even a little judgement. Baskin Robbins…. it’s been a long time guys. I worked there one summer and spoiled myself with ice cream to the point that I have not visited since. That Jamoca Almond Fudge really hit the spot as I continued on in the sunshine towards the park. Unlike my original plan for the day, I spent about 3 hours in that park and regret nothing. 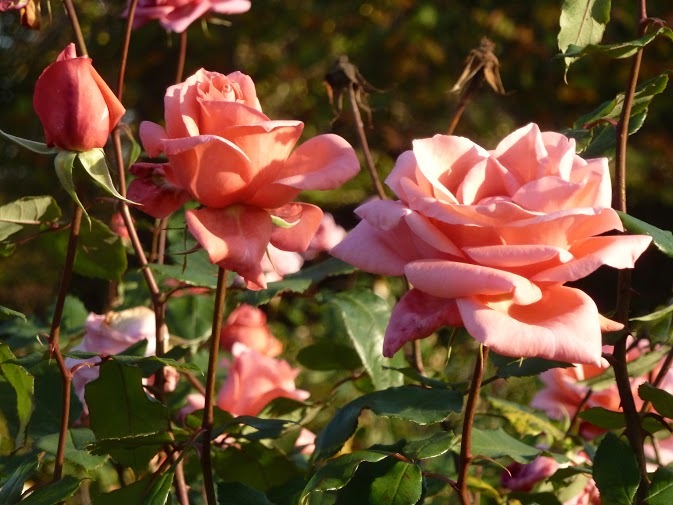 Regent’s Park has stunning flower gardens and gilded gates, water fowl sanctuaries and weeping willows. There was even an older couple reading on a bench together, which touched my heart. 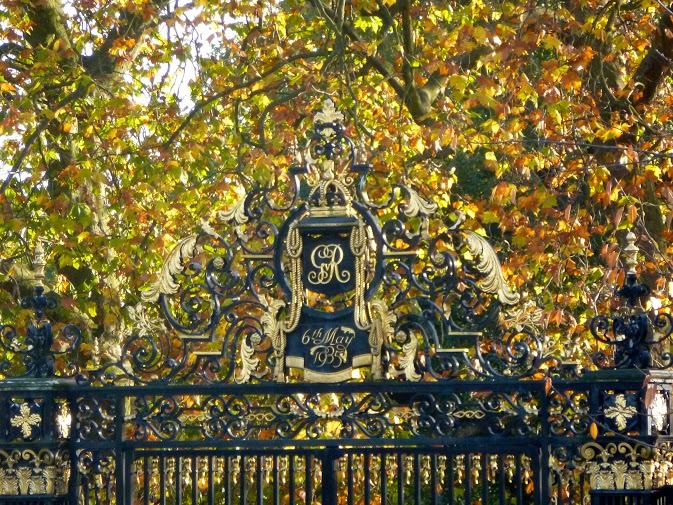 ​Regent’s Park has gilded gates that caught my eye several times. ​The beauty of flowers in a park. Finally I started to head out of the park as the daylight subsided. 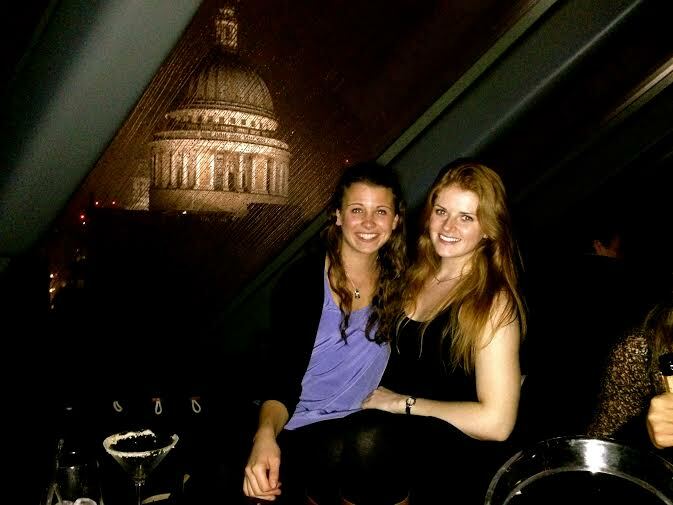 My new mission – find a place to Facebook message my cousin, Grace, who is studying theatre in London for the semester. Because my cell plan is not international, it would cost me a lot to call her and let her know I was there. 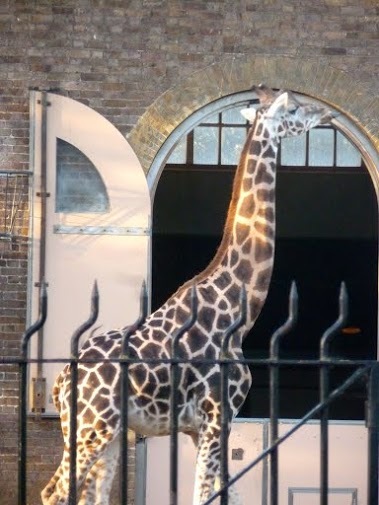 On my way towards a section of London called Camden Town, I passed the London zoo. Through the gates I could see giraffes and hippos! Good thing because that place is really expensive at 20 something pounds for adult admission. As I walked further I became hungry, and magically a deli and café called Melrose and Morgan appeared. There I accessed some Wifi and ate my first scotch egg. 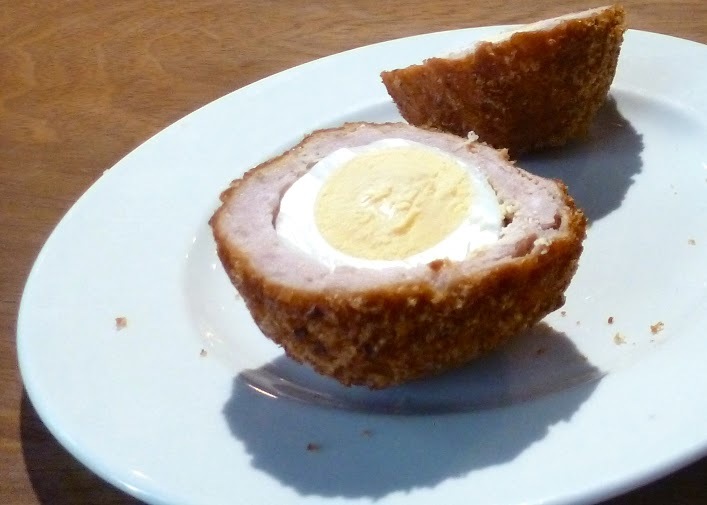 A scotch egg is s hardboiled egg surrounded by meat and rolled in breadcrumbs. Basically, it is breakfast all rolled into one. Breakfast is my favorite meal, so I was not complaining about eating this at around 4pm. I ordered mine with chili chutney, which added just the right amount of spice and sweetness to satisfy my tastebuds. After this short break in walking I continued onto Camden Lock Market, which has a ton of international food stalls. I remember seeing Polish Sausages, Peruvian food, sushi, crêpes, and a stall devoted to mac-and-cheese (which had no vendor behind it much to my chagrin). My stomach was full from my Scottish egg snack, so I went with a fresh smoothie instead of any food. At this point I still had about two hours to kill before meeting up with Grace at her schoolroom, so I walked through Camden. It is obviously a very grunge artsy place, which I loved! There were tattoo parlors, people in Darth Vader costumes, a DJ Grandpa, and other hilarious costumes. At this point my stomach made its presence known once again, so I stopped in a lovely looking tapas restaurant called Jamon Jamon. 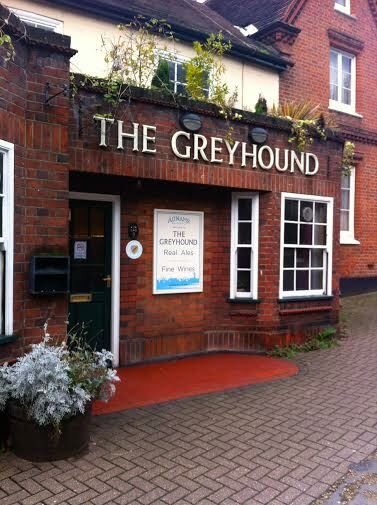 I recommend it, especially on a Friday night for their specials. 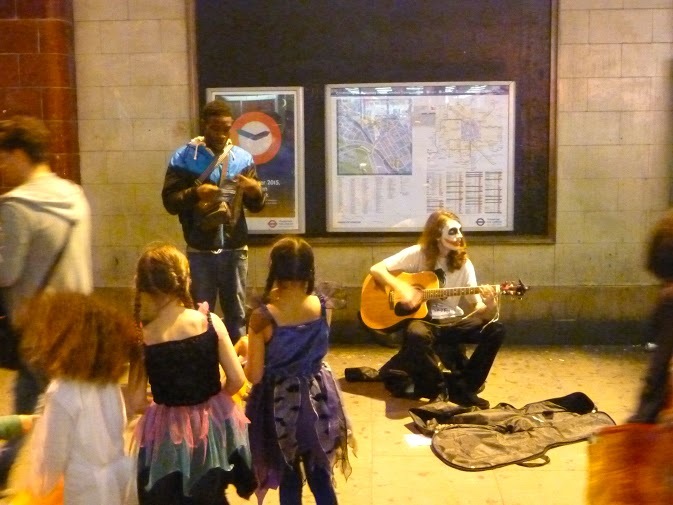 ​I feel like this would only happen in Camden – The Joker serenades three trick-or-treaters. Grace’s school was only a ten minute jaunt away. I waited outside for a few minutes and a woman came out who graciously let me in. Upstairs I found Grace and gave her a huge hug! Her friend Maggie who is from Baltimore was also there and we all walked for an hour back to where they live. The rest of the night was spent getting into costume, Cards Against Humanity, dancing, and junk food. 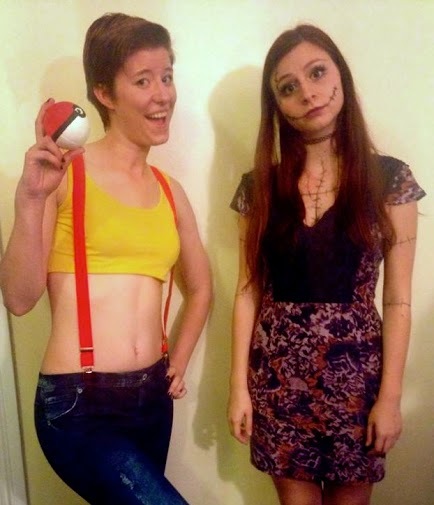 My cousin Grace went as Sally from “The Nightmare Before Christmas” and I decided to change from Peter Pan to Misty from Pokémon. Grace was sweet and let me go downstairs to sleep in her bed while she took the couch, which I definitely needed after walking around with my backpack on all day. It was a howl of a Halloween. Ahhh how nice to wake up at 10am. Grace and I were refreshed and took our time getting ready in the morning as our only schedule was to make it to the Mayfair area of London by noon. When we arrived there we took a quick walk to see Buckingham Palace and then headed back to our real destination – Murano Resturant. Murano is a one Michelin starred restaurant owned by Angela Hertnett, protégé of Gordon Ramsay. I consider myself to be a foodie and also wanted to treat Grace for hosting me. This was the most memorable meal of my life so far. 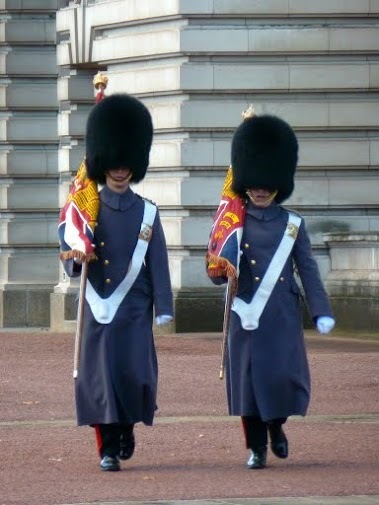 ​It was gorgeous weather in London but these men continue wearing their bearskin hats. Before we ordered anything, we were brought three kinds of bread, olive oil, parmesan crisps, fried truffles, and carpaccio. This seriously was their “free bread” portion of the meal. Are you kidding me. Pure heaven. For starters we ordered a tuna dish and a quail dish, and for mains Grace got the risotto while I got pork cheek. My main was such a homey dish it made me really feel like I was back home eating my mother’s pot roast. We both ordered desserts and we even got orange gummies plus chocolate raspberry lollipops after our real desserts! Overall, excellent service, value, taste, and presentation – everything I dreamed it could be. ​My Murano dessert. 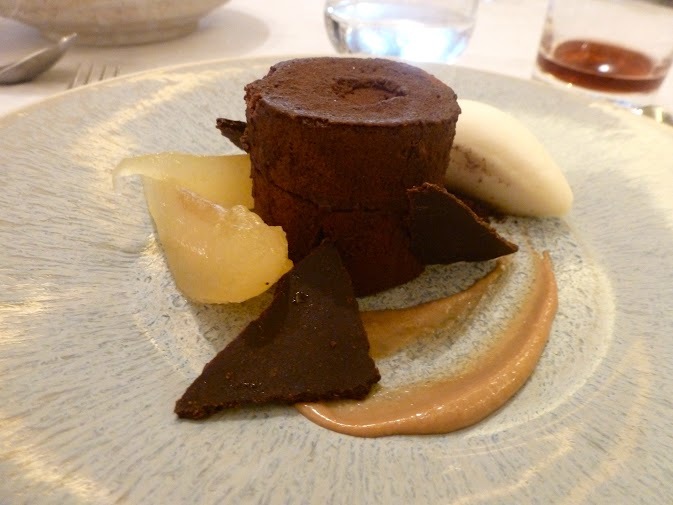 Chocolate cake with pear filling, pear ice cream, and pear pieces. To get rid of our massive food babies, Grace and I started a day long trek through the city. We passed Buckingham Palace a second time on our way to Big Ben and the Eye. We didn’t go up in the Eye because of how expensive and time consuming it is to do that. Our investment of time in lunch was much more worth it! 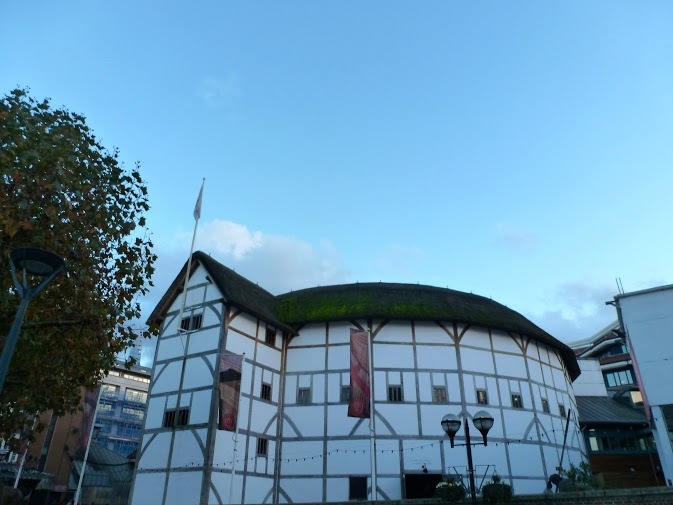 After crossing a bridge, we saw the National Theatre where Grace has seen several plays and also saw the Globe Theatre of Shakespearean fame (though it is obviously relocated and remodeled). We went through some side streets and happened upon the original Globe Theatre site! This all took a couple hours of walking so when we reached Borough Market we both got a little sweet treat to tide us over until dinner. I got a lime mint cupcake while Grace got a scoop of chocolate and vanilla ice cream on a cone. As evening approached, the rest of the tourist sites were in store. Crossing London bridge allowed us to view Tower Bridge. We went to see the Tower of London. 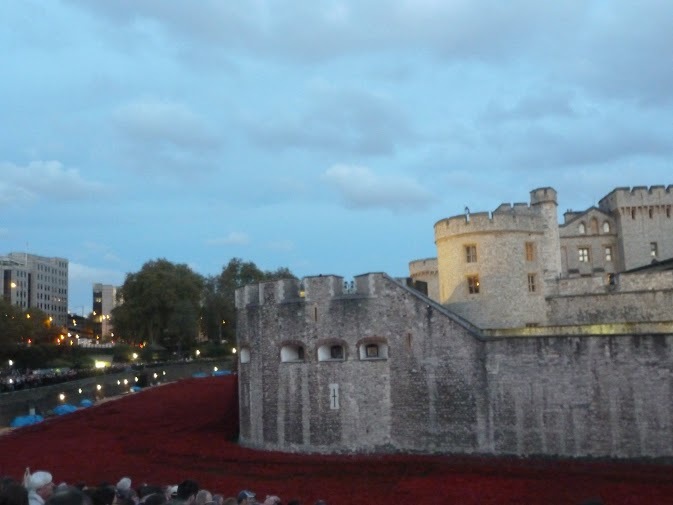 Great timing because this was one of the last changes to see the gorgeous WWI poppy tribute. Trying to save our time we did not stay through much of the reading of the names. Instead we continued on to the Tube to Kings Cross Station for a picture at Platform 9 and 3/4. I wore my Hufflepuff scarf proudly. 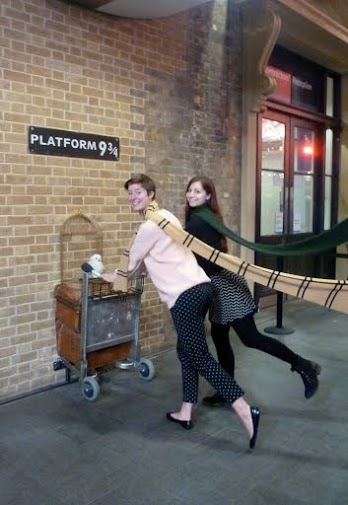 My cousin is a Hufflepuff too I think, but they only had one yellow scarf! This was my crowning moment as a Harry Potter fan, I have to tell you. To wrap up the evening, Grace and I got carry out Thai food and watched Footloose. The next morning I got up at 4am to catch the bus back to the airport for my 7am flight. 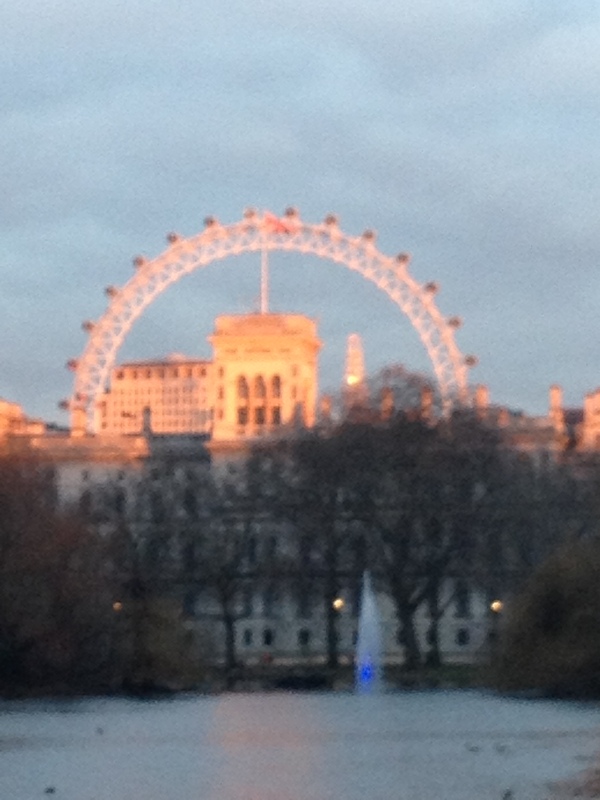 What a whirlwind weekend in London! ​Quitting Muggle school. I’m goin’ to Hogwarts! 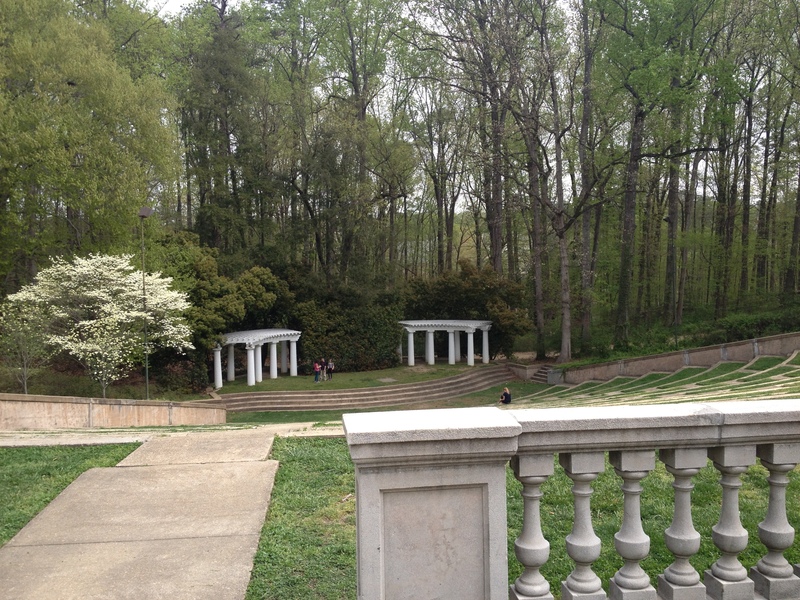 Check out the blog post about a break down of what I learned in my Environmental Ethics class! This was my first time studying philosophy and I thoroughly enjoyed it. I know this post is very delayed but I have a good reason, I promise! We had a fall break this past week and I had the opportunity to travel around Europe and visit Dublin, London, and Amsterdam. 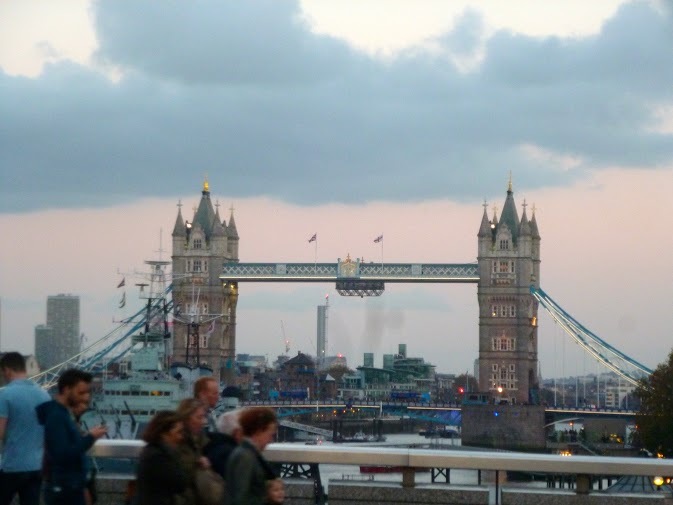 While they were all amazing and I loved each for different reasons, this post focuses on London where I had a very different trip from those I’ve grown used to. Hopefully I’ll get to write about the other cities in another post. The walk from my hostel to this point was just about 5 minutes long. It was so easy to get to and such a cool place to explore. If any of you remember my first entry, you’d know that I’ve been lucky enough to make many international friends in my years working at a YMCA summer camp. Many of those friends are strewn about England, so I saw it fit to visit London and meet up with as many as I could in the city. Unfortunately, I forgot to consider the whole concept of people having “lives,” and how they would restrict my friends from abandoning their universities and jobs to parade around London when it was convenient for me. This meant I was unable to connect with many good friends, but it did not mean that I wasn’t going to go to London. Rather than view it as a failure of a trip, I took it as an exciting opportunity to travel alone for the first time. “Alone” might be too strong a word because I did end up meeting up with some amazing friends, but I stayed in a hostel by myself and was on my own to explore on most days. I did have a friend I could have stayed with in London, but she worked during the day and I chose to stay in a hostel to have more independence with timing and such. My friend Laura and I met up for dinner and had drinks with this beautiful view of St. Paul’s Cathedral. There are many places like this one (Madison) that give you great views of the city without having to pay the London Eye or the Shard’s high prices. I can’t say I wasn’t anxious about deciding to face the city on my own (I mean, I’ve seen Taken), but I was eager to use it as a chance to learn something about myself—to learn if I could do it, and to enjoy it too. A few specific things stood out to me as being most notably different when traveling alone including planning, openness, and eating. I’ve outlined my feelings on each as honestly as I could, and I hope you enjoy my insights! You can’t rely on anyone else to do the planning when you’re alone. This meant I spent an exorbitant amount of time arranging every aspect of my trip. Where was I to stay? What sights did I want to see? Was I going to stay in London for the whole trip? When and where could I meet up with people? There was no shortage of variables to manage but the organizer in me, which has been dormant as of late, got oddly excited planning out the four days. I even made an itinerary for my parents. Where to stay was probably the most important decision I had to make since it was most vital to safety and convenience. After spending hours scouring websites, I decided to book three nights in a twelve person mixed room at the Horse & Stables Hostel. 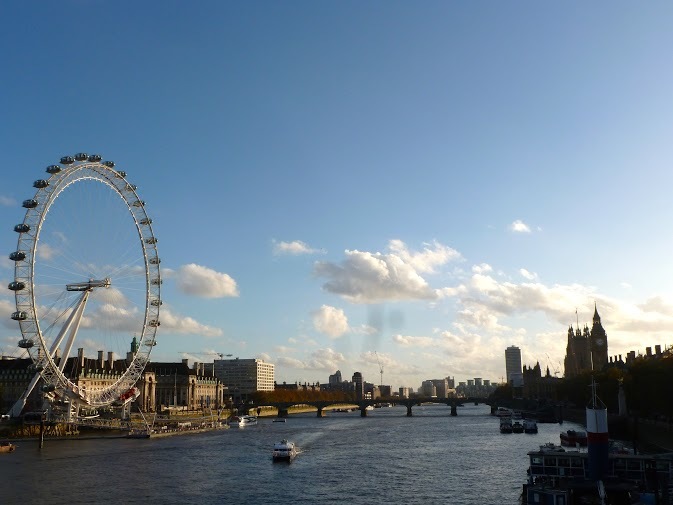 The location was nearly perfect as it was just a five-minute walk to the Thames and London Eye, and the hostel boasted great Trip Advisor reviews for solo travelers. 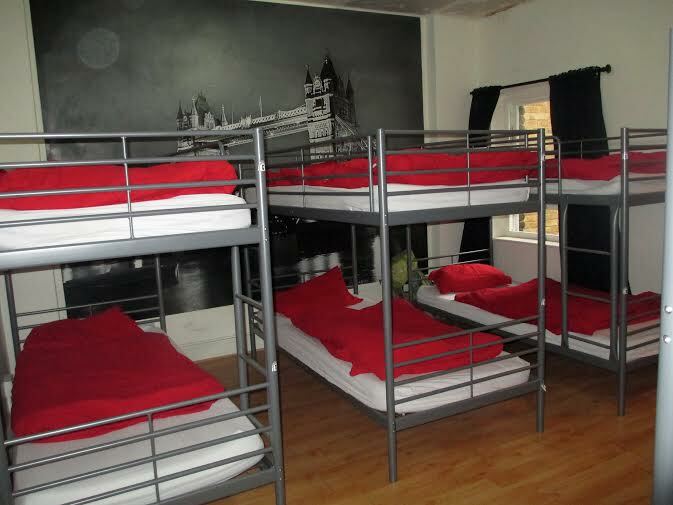 I ended up really enjoying the hostel and would recommend it to anyone, solo or otherwise! There was a bar and restaurant right downstairs that gives discounts to hostel patrons, the workers were very friendly and helpful, the facilities were clean, and the location was amazing. My bed was the one on the top right. It wasn’t too difficult sharing a room with other people, but the mornings were tough to get ready in the dark without disturbing anyone. Planning activities was also important to me, because I wanted to make the most of my time in the city. London is quite expensive, which directed my research to deciding which attractions were worth visiting and which could be done in a walk-by. I saw all the major sights in city center: The Shard, The London Eye, Palace of Westminster, Buckingham Palace, Tower Bridge, St. Paul’s Cathedral, and Westminster Abbey to name the highlights, and only decided to go into The Tower of London after some friends’ recommendations. I saw everything I wanted and then some, and the foresight helped me to save money on the attractions that were less worthwhile. As my last point on planning, I’d like to say how much I enjoyed signing up for guided tours. I did two group tours during my stay and liked the structure and personal aspect that came with both. It was good to join a group every once in a while to break up the alone time and provide a chance to hear interesting facts on some awesome places. 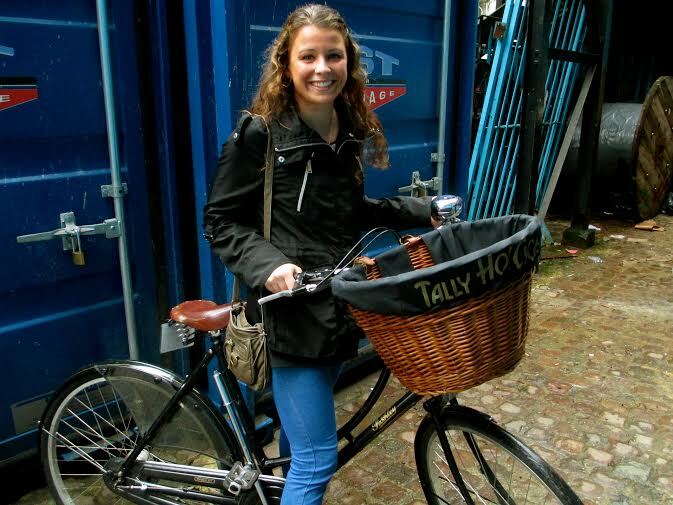 I did a bicycle tour one day that took me around all of London’s major landmarks. My guide was both charismatic and informative, and I only shared the tour with one other girl! It was more like a friend was showing us around than a tour, and it was cool to see the city by bike. I did my second tour my last day and ventured out of the city to visit Oxford University and the Cotswolds. This was a day trip run by London Walks and it’s a great alternative to strictly staying within bounds of the city. Even though I was the only person buying a student discount when the rest of the group was buying senior ones, I loved what this trip had to offer. I would have gotten an incomplete perspective of the places we visited if I had gone alone, and it was worth the money to have an expert paint you a fuller picture. I wouldn’t have known the elaborate backstories or history of each location and the quirky facts each guide shared enhanced the trip exponentially. This was one of the stops on my bike tour. 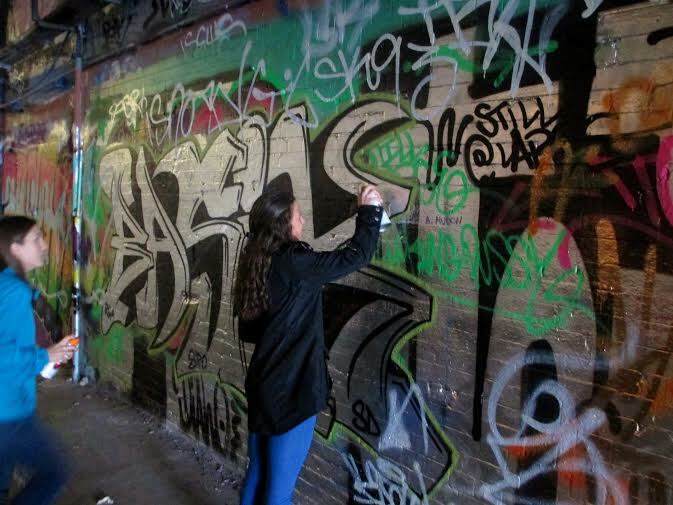 This was at the Leake Street Tunnel where graffiti art is legal! 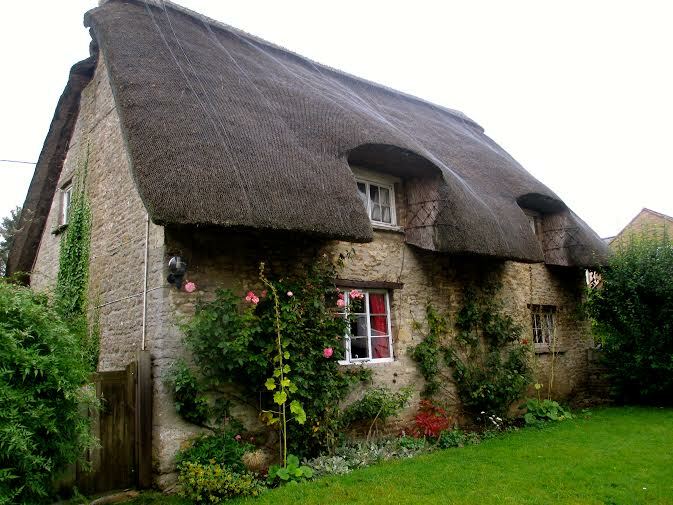 his picture is from my trip to the Cotswolds. This village only has a couple dozen people who live there during the week. The main reason why I chose hostel-living over crashing on my friend’s couch (for free) was the possibility of meeting new people. I figured making friends for a short while was a superior alternative to being alone every second. I consider myself a friendly and outgoing person and feel comfortable befriending people pretty easily. When you’re traveling with a predetermined group though, as I have done on all my previous trips, you are less likely to seek any kind of deeper connection with the people you come across. You don’t need to. Alone though, you are much more willing to befriend the guy at your hostel you met by the toaster at breakfast, just as I did on this trip. Actually, the night before he was lucky enough to witness me spastically try and plug in the hostel door’s code to use the bathroom. Our second encounter was by the toaster at breakfast. After a few second exchange, we discovered we were both flying solo and spend a few minutes eating breakfast together. After a bit we decided to tag-team our explorations instead of each going alone and spent the entire day sightseeing to the point where I could hardly walk. We shared a nice fish n chips lunch and sat in the hostel bar having tea to warm up when we got back that evening. Many people I know wouldn’t be open to meeting someone on a whim like this but the friendship felt quite natural to me. I can’t speak for him, but I believe the day was far more enjoyable spent with a buddy than traipsing about the city alone. The issue of trust and safety should not be ignored, but neither should the value of being open to new people. Being cautious and aware is an absolute necessity, but you can do so without sacrificing opportunities to meet some really interesting people. “Went to a second village for lunch, we had about an hour. This was one place where it was very apparent that I was on my own. I like being on my own, I really do. I didn’t feel awkward of self-conscious at a lunch table for myself at all really, I was more just lacking on what to do. I didn’t want to be a person staring at my phone by any means, not that I had any service or data to do anything. People watching and taking in my surroundings was an obvious choice of activity but that can only continue for so long before those around you think they’re being observed like zoo animals. 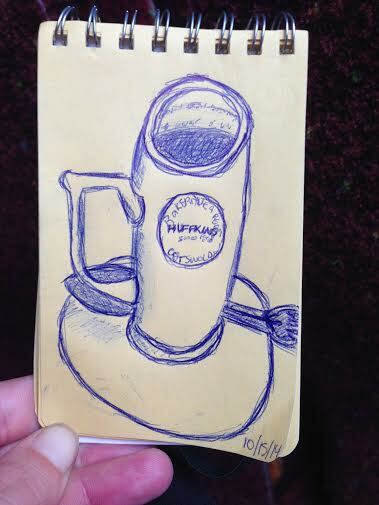 I was at such a loss of what to do I even put my terrible artistic skills to work and sketched my chai latte. It tasted supremely better than it looks in my rendition, believe me. I found my time traveling alone to be particularly enjoyable. I loved the independence to do things on my own time, thrived on making connections with other travelers, and appreciated what the experience helped me discover about myself as an individual. I just might have caught the travel-bug on this London excursion and I would absolutely do another solo-trip in the future. Maybe onto Morocco next? Only time will tell. …lots and lots of solo pics. I last left you at the Atlantic 10 Tournament in Brooklyn, following a devastating Spider loss to Charlotte in the opening round of the postseason. After the game, I headed home for two weeks to relax and decompress after an eight week term and a week of basketball. Prior to attending Oxford for my first term, I thought that eight weeks were simply too short and that the six-week breaks between trimesters was way too long. After having been through two terms and two breaks, the system that they have is perfect. During the terms, students do not sleep much. In response to this I spent the first two weeks at home recovering with 10 and 11 hours of sleep per night. I also was able to celebrate Easter with my family for the first time in my college career. I missed Thanksgiving, but celebrated Easter, so it all works out, right? After this two-week stay at home, and feeling rejuvenated to take on the world again, I headed back down to my second home. 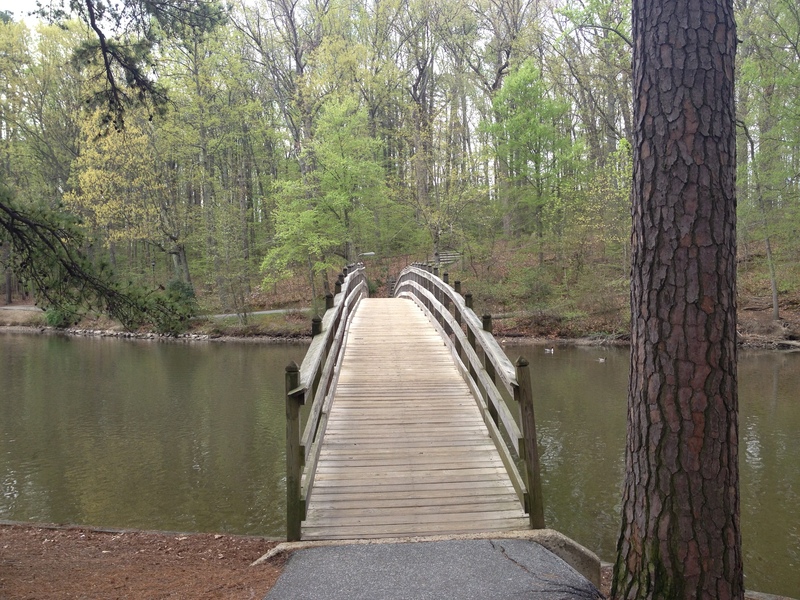 I came back to the University of Richmond for a few reasons. Reason 1- I love this place. Reason 2- Chance to Play, the organization that my best friends and I started this summer, was competing in the annual UR Business Pitch Competition. Reason 3- Basketball workouts. Reason 4 (Tie)- Pigroast, my 21st birthday and the Kappa Kappa Gatsby social! It doesn’t get better than that! After spending 17 days in Richmond, I am ready to go back to England for my 3rd and final term of this year. So, as I look forward into these last eight weeks, what’s the play? I like to group my plans into three areas- academic, cultural, and social. Let’s start with the academic side of things. I will continue my research in the Davies group working with some brilliant organic chemists from around the world. I want to make progress on my project and continue to learn as much organic chemistry as I can. On the tutorial side of things, I will be taking a major course of Advanced Organic Synthesis and a minor course of Modern British Drama/Performance. I couldn’t be happier with my courses this term. I get to study organic chemistry and act! I am transferring the Modern British Drama/Performance class as my Visual and Performing Arts general education requirement. I received an email this morning from my tutor outlining my first assignment. I have to read the play ‘Arcadia’ by Tom Stoppard, write a 2500 word essay on the idea of ‘Misinterpretation’ and be ready to recite specific lines from the play. It’s going to be a great term! On the cultural side of things, I have two goals. I have spent 16 weeks in England already and believe that I am getting accustomed to their way of life. I want to better my understanding of their culture and immerse myself further. I also want to test the waters in a new culture. I have not travelled much outside of England, so this term I plan on visiting France and experiencing a glimpse of their culture. I know that a few days in a country like France cannot do it justice, but it will have to do. And lastly, on the social side of things, I want to have a great time with the friends that I have made in England. People have said that the abroad experience is the best of their college career. So far, it has been for me. In these last weeks, it is time to live it up, enjoy the ride, and learn what I can. Tomorrow I fly from Richmond to Dulles and then Dulles to Heathrow. It is weird to think that less than seven months ago, I was scared and nervous going into unknown territory across the Atlantic. This third time, I feel ready to go. Let’s do this! It is funny how in the course of two weeks you can go from incredible highs to devastating lows. On my last weekend before spring break, I took a three day trip into London with a few friends. 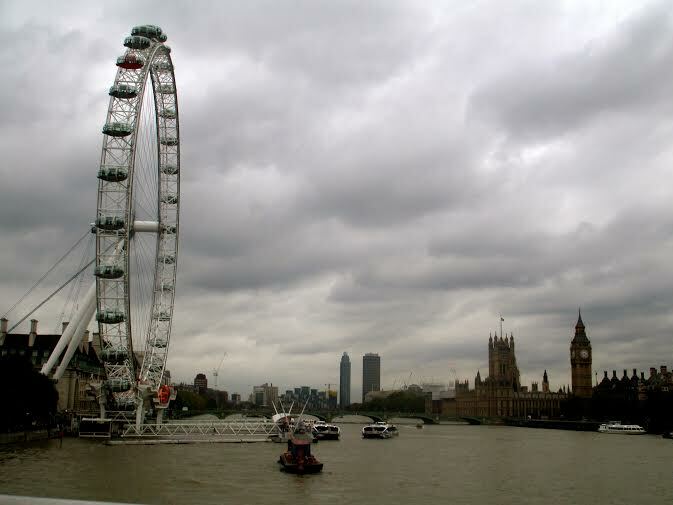 I have been to London before, but only for day trips. Oxford is an hour and a half drive west of London, so buses conveniently run through the night. This time, I wanted to fully experience one of the most influential cities in the world. We stayed at the Club Quarters Hotel in the financial district, located within a five minute radius of the Thames, St. Paul’s Cathedral, and the Tower of London. When we settled in, I Googled “shows in London” looking to find a theatre performance for the evening, since London theatre is rivaled only by Broadway. However, the first thing that came up was “One Direction Concert-Tonight, 7:30p.m.” One Direction is the British version of the Backstreet Boys, and they are one of the biggest boy bands in the world right now. They have a few hit singles and their fan base tends to be 11-16 year old girls. Don’t judge me when I say that we impulsively bought tickets 20 rows from the stage for the concert that night! My friends and I quickly grabbed some food and took the tube to O2 arena, one of the major concert venues in Southeast London. I will be honest; these guys draw an unbelievable crowd. 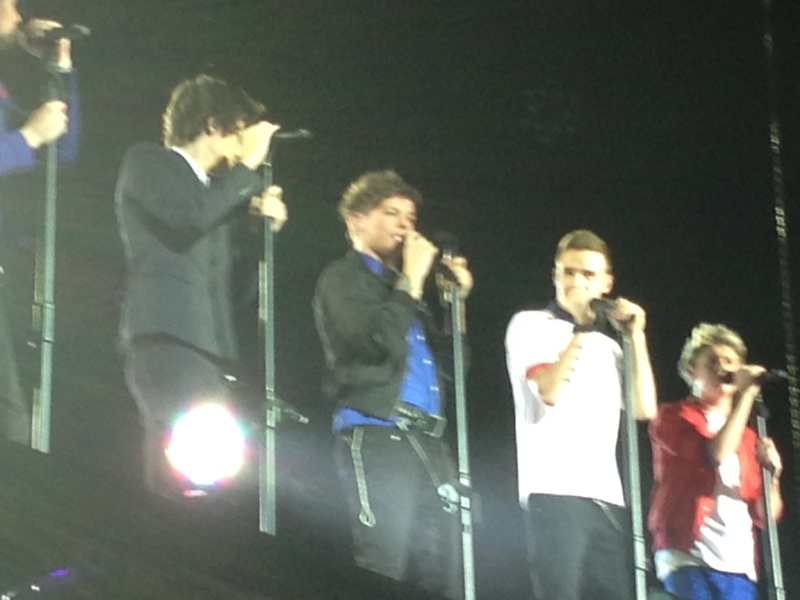 It was the first concert of their new tour and it was packed. I will gladly swallow my pride and say that this was one of the best experiences of my time at Oxford. The next morning we set out to do all of the ‘touristy’ stuff. We attended Mass at St. Paul’s Cathedral, visited Trafalgar Square, the Tower of London, Buckingham Palace, Westminster Abbey, Big Ben, the National Gallery and the London Eye. Needless to say, it was a LONG day. The architecture and beauty of the city is absolutely incredible. London is such a historic place and these landmarks speak to its amazing past. The following day, we took a 20 minute bus ride north of London to Warner Brothers Studios where we went on a four hour tour of the making of Harry Potter. I was a little skeptical when the ticket said that it would take 4 hours, but after having been through it, I completely understand why they say that. We made it through in 3 hours and 45 minutes, and I felt like we were going very quickly. The studios are amazing. 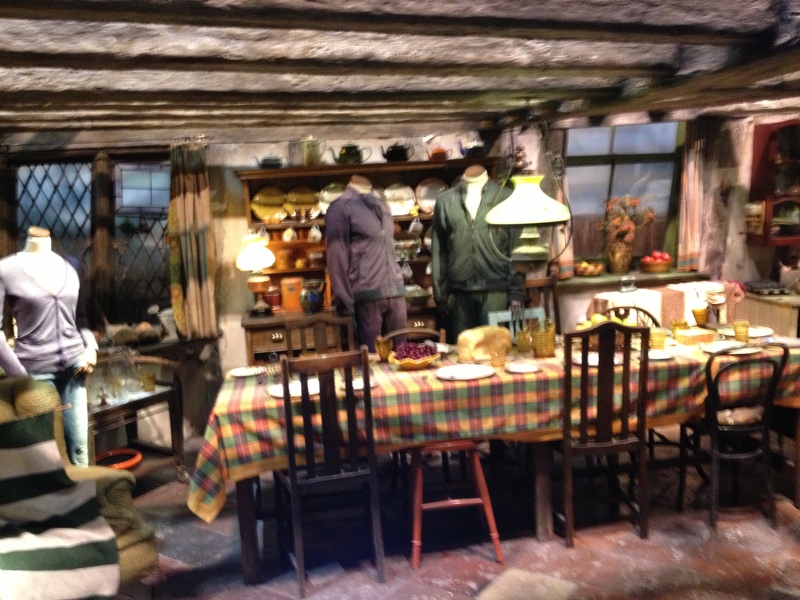 They have props from every movie, the original sets, costumes, and everything that you could imagine. They even serve you Butterbeer! ( For what it is worth, I thought it was disgusting). After the tour, we headed back to Oxford and I spent my last week in the lab. On Saturday, March 9th, I flew into Richmond to be with the basketball team for Senior Night against Duquesne and the Atlantic 10 Tournament in Brooklyn. We left for Brooklyn on Tuesday and had our first game on Thursday at noon against Charlotte. As much as the previous weeks had been my best time at Oxford, this game was by far the most devastating sporting experience of my life. If you have not seen the highlights on ESPN or Richmondspiders.com, I suggest that you do. Let me paint the picture: we were up 63-60 with 5.9 seconds to go. It was Charlotte’s ball, and they were inbounding it underneath their basket and had to bring it up the court and shoot a three before time expired to try and tie the game. When teams are in this situation, they have two options- they can either play defense and let the team shoot a 3, or they can foul and send them to the free-throw line where the odds of tying the game are very slim. In order to tie the game, they would have to make the first free-throw, miss the second, get the offensive rebound, and score all in 5.9 seconds. All smart coaches foul in this situation because they are almost always guaranteed a win. In fact, I have never seen a situation where the team fouled and then lost. I have seen countless situations where the team does not foul, and the opposing team hits a three, sends it to overtime, and wins. Coach Mooney, one of the best coaches in the country, decided that we should foul. We fouled them with 4.9 seconds left in the game and sent one of their players to the free-throw line to shoot a one-and-one. The player made the first shot, and after the ball had gone in the basket, there was a tie-up between one of our players and one of the Charlotte players. At the end of the tie-up, our player extended his arm and as a result their player fell to the ground. A technical foul was immediately given, and the officials met at half-court for two minutes to go over the call. After the meeting, they decided to issue the technical, which resulted in two more shots (and the other one-and-on free throw) to Charlotte. At the end of the free throws, Charlotte was up 64-63 and had the ball as the result of the technical. Crazier things have happened in sports, so we still had a chance to win. We were down by one and planned on fouling, so that they would have to go to the free-throw line, and make two free-throws. We still would have had a chance to win. They inbounded the ball to half court, and we fouled. However, the player that we fouled did what every player in these situations does. He threw up the ball after we fouled him in an effort to gain three shots (since he was behind the three-point line because he was standing at half-court). In these situations, the refs never award the player three shots; they always call the one-and-one. However, the ref awarded Charlotte three shots, and as a result our coaches were a little angry. We received two more technicals for arguing the call, knowing that our fate was locked in when they were given three shots. At the end of it all, they were given 3 shots for the original foul, and 2 for each technical, giving them 7 more free throws. In a five second span, they shot 11 free throws and turned a 3 point loss into a 5 point win, ending our hopes at the Atlantic 10 Title and turning us away from the NCAA Tournament. It was absolutely heartbreaking. I am five days removed from the game, and it still burns. I am currently on spring break and have travelled home to Buffalo, New York. I will visit Richmond soon for the UR Business Pitch Competition. We have entered Chance To Play into the competition and hopefully we can receive positive feedback. On April 17th, I head back to England for my final 8 week term. Allow me to reintroduce myself. My name is Jimmy Maiarana and I am a junior at the University of Richmond. 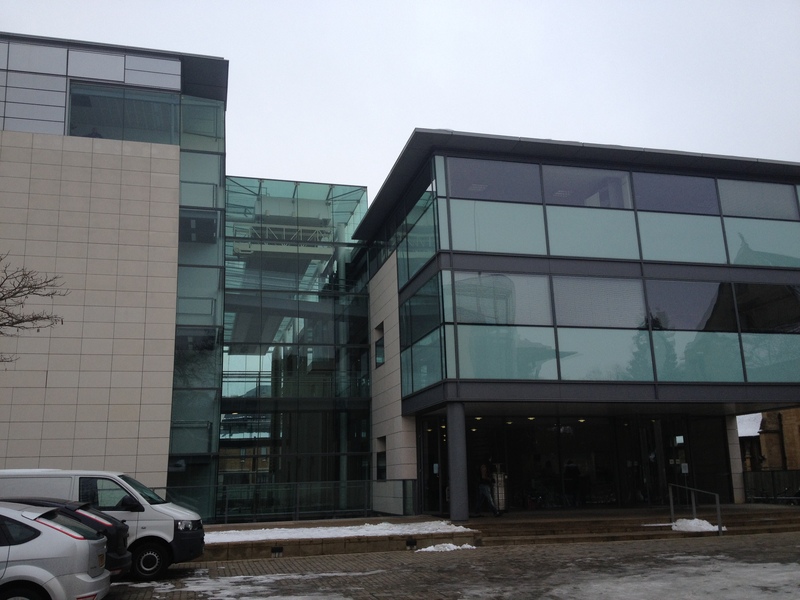 I am spending this year studying abroad in the biomedical sciences division of the University of Oxford. I wrote my last post on December 15 and took a long desired trip home to Buffalo, New York for winter break. I was originally supposed to continue blogging on January 10 in anticipation for my next two terms at Oxford, but today is February 26 and this is my first blog. I apologize to my viewers and to the University of Richmond International Education Department for this long absence. Allow me to use this time to fill in some gaps. 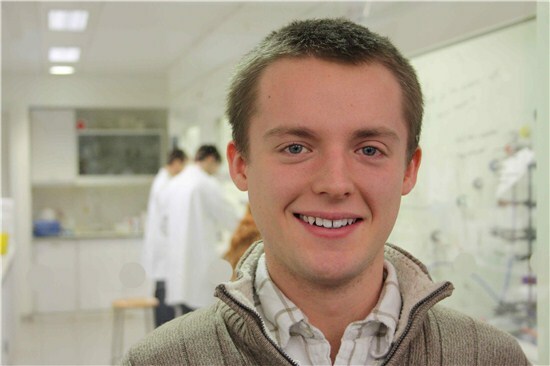 Before I left for winter break in early December, I had an interview with Dr. Jim Thomson in the Steve Davies group at the Chemistry Research Laboratory of Oxford. Steve Davies is the Waynflete Professor of Chemistry at Oxford and he is a genius. He founded two organic chemistry research companies, Oxford Asymmetry and Oxford Diversity, back in the early 90s and sold them for £316 million in 2000. He is also the founder and editor-in-chief of Tetrahedron: Asymmetry, an international journal that presents research on asymmetry in chemistry. Upon my return from winter break, I had a second interview. 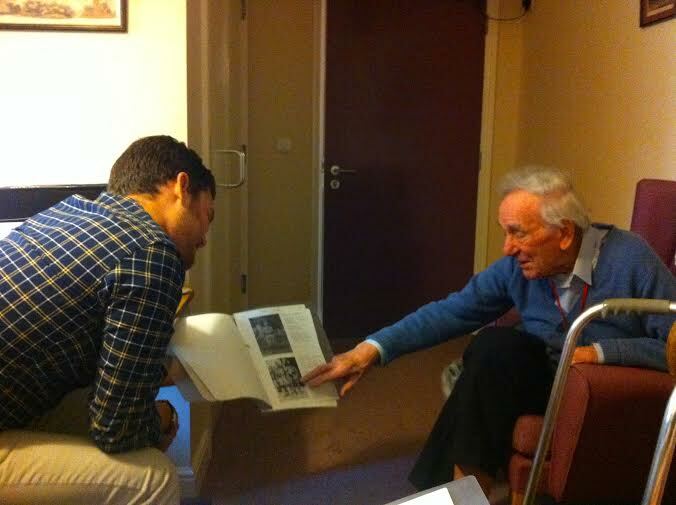 This time, it was with Dr. Davies. I sat down in his office at 9:15 a.m. on my first Monday back to England. His presence is felt anywhere he goes, and as I walked in he motioned for me to sit down and then asked, “What do you know?” I proceeded to explain my chemistry experience that I had received from Dr. Downey and Dr. Myers at the University of Richmond. After talking for what felt like hours, but in reality was probably less than 45 seconds, Dr. Davies stopped me and asked, “Do you know that you are in the best chemistry research laboratory in the world?” I could feel the mood in the room lighten a little, so I laughed and responded, “Yes.” He said, “No, I am serious. You are in the best research lab in the world. It’s time to get to work.” I left his office with a big grin on my face knowing that most of my next three months would be spent in his building. Most of the students that work in this lab are Ph.D candidates and post grads. They arrive at the lab by 8 a.m. and leave after 6pm. Many of them come in on weekends as well. I have never seen such commitment in any field of work. These men and women love what they do and it shows in their results. There is also a high level of attention to detail. A minor mistake could lower yields and cost lots of money. I can now see why students that are placed in this environment succeed after college. They are challenged every day and they must raise their standards to such a high degree of excellence that they are bound to succeed. I have been working in this lab for seven weeks and most of my time has been spent there. On weekends I have been catching up on my actual tutorial work (I am still taking the normal major and minor tutorials). Needless to say, this term has been very busy but I wouldn’t have it any other way. Over the course of the next few posts I will explain some of the other activities that I have enjoyed and let you in on new insights in the lab. Again, I would like to apologize for my absence, but I am back now! Have a great day, and I will write again soon. 80 days ago I flew across the Atlantic where I began my 9 month journey abroad. At that time I could only dream of what I wanted my experience to resemble, and looking back on it I firmly believe that it has been everything I hoped for and so much more. I left Oxford over a week ago after deciding to return to UR in order to be with the Men’s Basketball team before winter break. My original plan was to spend the two weeks after term traveling across Europe. I quickly changed that after watching our first home basketball game of the season. As crazy at it may sound, I prefer being with the team more than traveling across Europe during the cold winter months. Plus, I will have then entire spring and early summer to travel, so I decided to move my flight up two weeks and enjoy college basketball. With all of that in mind, I am officially done. Over the last 80 days I have written on orientation, academics, beauty, lectures, challenges, a TedX conference, Thanksgiving, a stomach virus, and end of term festivities. This entry will carry a more reflective tone as I try to encapsulate some of the ideas that I have learned in preparation for my next term. So what did I learn? I learned that I am in charge of my successes and my failures. I touched on this idea briefly in my last entry and want to elaborate on it. There was a direct correlation between my work habits and my outcomes. When I planned everything and had a specific schedule I felt that I was headed in the right direction. When I failed to do this, I was either behind on my work or scrambling to complete it. This didn’t just apply to academic work, but I realized that it applied to life. In the immortal words of William Ernest Henley, “It matters not how strait the gate, how charged with punishments the scroll. I am the master of my fate; I am the captain of my soul.” Oxford cut away all of the distractions that I typically used when I wanted to hide from my work. I couldn’t take weeks off in order to cram at the end of term for a final. Every week I had to be ‘on my toes’ and ready to learn. I couldn’t hide in the back of a classroom when it was a 1-on-1 meeting with a Ph.D. discussing the piece that I wrote. They, like the University of Richmond, hold their students up to such a high standard. After going through an intense 8 weeks I can see why Oxford continually produces some of the most important leaders in the world. Simply put, they demand the best out of themselves all the time and they go through a rigorous 1-on-1 academic battle every week. When you consistently do that for years, you develop critical thinking abilities and confidence in defending your arguments. I caught a glimpse of the importance of being able to analyze situations rather than simply memorizing facts. This was my biggest academic achievement during the first term. I also learned that social interactions have such a strong influence on me. My parents always used to say that our environment, the people who we constantly interact with, is so important to the people who we become. When I arrived at Oxford, there was not one person that I knew. It took me a while to realize the depth of being all by myself 3500 miles away from home. Up until I left for college, there was always someone (family, friends, and coaches) that I knew. When I left for college, there was still familiarity with other friends attending UR and an immediate connection with the basketball program. I realized once I arrived at Oxford that there was not a single person that I knew. I was completely by myself….and I loved it. It was challenging, but made me appreciate all of the amazing friends and family that I have. The old saying about never understanding the importance of something until it is gone carries so much more meaning. Where do I go from here? I am currently on break until January 10th. I will try to catch up on some rest and prepare for my next two terms. After that I will be back in Oxford until June 15th. In terms of blogging, I will take a break for a few weeks and will return upon my arrival in England. I would like to thank all of the people who have been following while I am abroad. I would also like to thank Chris Klein, Abby Ward, and the entire Office of International Education at the University of Richmond. Not only have you renewed my blogger contract for the 2013 spring semester, but you also may be the best international education department in the country. Am I biased? Absolutely! But, of all the students that are studying abroad, I feel like I was the most prepared even though I had never previously been to England. Other students were upset with the lack of communication or help that they received from their universities and programs in preparation for their abroad experience. Just like everything else at the University of Richmond, your department does things in a first class manner. You don’t allow anything but your best, and it shows. If it wasn’t for the massive amounts of email reminders to study abroad, I would not have applied to Oxford. In closing, I want to say if any students have never thought of going abroad, it is not too late! Go home after finals, relax and think about it. At this time last year, there was not a chance that I would be spending my junior year at Oxford…. Be open to new ideas and I will see you in mid-January!